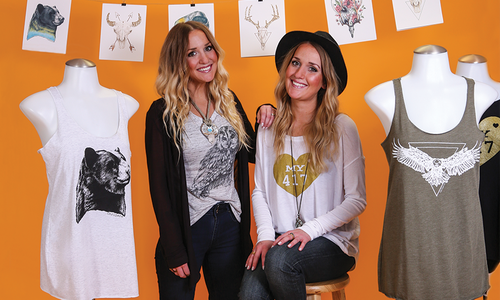 Dispersed throughout 417-land is a buzzing art scene that is constantly evolving and growing. This year welcomed in a handful of new galleries and saw the rise of interactive art installations. Innovative musical ensembles took to the stage while other tried-and-true orchestras, operas and theatre groups unveiled this season’s lineup of performances. From professional actors, dancers and musicians to illustrators, painters and sculptors, our corner of the state has a vibrant community of artists waiting to be explored. 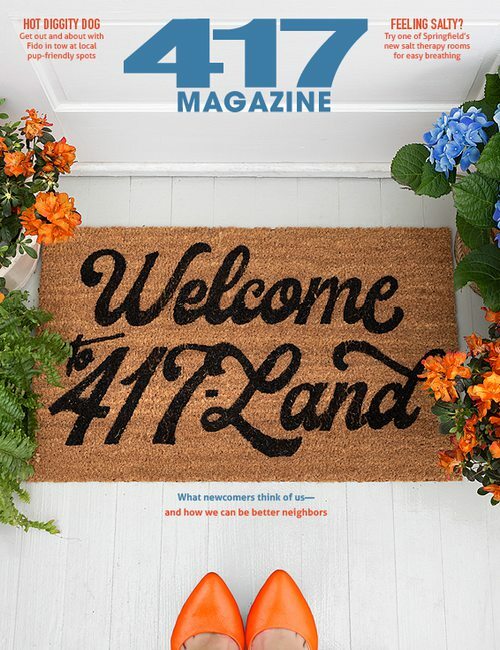 It’s time to dive head-first into the arts in 417-land and see for yourself what the buzz is all about. To get you started, we’ve assembled a tasting menu of galleries, operas, symphonies, theatres and more where you can indulge in art at its best. Then it’s time for you try it out yourself. Take a class, audition for a role sign your kid up for an artsy camp, join a club, meet the artists. Whatever it is you’d like to try, here are some ways to move from the audience to the spotlight. Now get your art on! First opening its doors in 1947, George A.
Spiva Center for the Arts has made it a mission to celebrate the creative experience. For decades, Spiva has served as the hitching post for art in the Joplin area. It hosts numerous shows throughout the year, ranging from photography and paintings to sculpture and fiber arts. Over the years, the center’s claim to fame has become PhotoSpiva, the longest-running photo competition of its kind in the United States. Part of its popularity stems from its accessibility, as photographers of all skill levels are welcome to participate. Each year, hundreds of photos are submitted from all across the country. The 2014 competition is March 8 to May 4. Visit photospiva.org for more info. Home to an impressive collection of more than 9,000 pieces, the Springfield Art Museum is very much at the center of the art scene in Springfield. From the time it was incorporated in 1928, the museum has made it a mission to place art at the fingertips of those who are interested. Its gallery space hosts work by artists from Rembrandt to Warhol, and it even features a variety of local artists. Its impressive auditorium hosts performances by theater and musical groups, including Springfield Contemporary Theatre, The Springfield Regional Opera: A Lyric Theatre and more. In recent news, the museum announced it is unveiling a new outdoor concert series in summer 2014 that will host music shows, ranging from rock to classical, on the first Saturday of the month. Inside its walls, the museum houses a wide range of art, including ceramics, decorative arts and contemporary paintings. There’s even a wing of the museum lined with classrooms where those with even the slightest artistic inclination can try their hands at painting, pottery and sculpture. Aspiring artists or everyday art enthusiasts can also pick up new techniques and get a behind-the-scenes glimpse into an artist’s methods at the museum’s regular Artists Talks. At the talks, featured artists are invited to speak about their work, methodology and techniques. An inside look with Julie Blackmon. Next to take the stage at an Artists Talk is renowned photographer Julie Blackmon. Her show, which opened September 14 and runs through January 19, features large-scale photographs of her domestic scenes that tap into the surreal nature of domestic life. Her talk takes place October 17 at 5:30 p.m. in the auditorium, and like the rest of this museum experience, it’s free to attend. This cooperative art gallery is made up of approximately 20 artists, and each one does a lot more than simply display his or her work at the gallery. Each artist is juried in by a committee that looks at new artist applications every two months. During those two months, artists display their work, whether it’s sculpture, jewelry, wood carving or painting, and they all share shifts to keep the gallery doors open. As a result, there is always new art on display, as different artists rotate in every month. The gallery is also a participant in Springfield’s popular First Friday Art Walk, and several of the featured artists make an appearance to chat, discuss their work and meet the viewing public. The ideaXfactory is not your traditional art gallery. Only three to four artists are featured at one time, and none of this art is for sale. 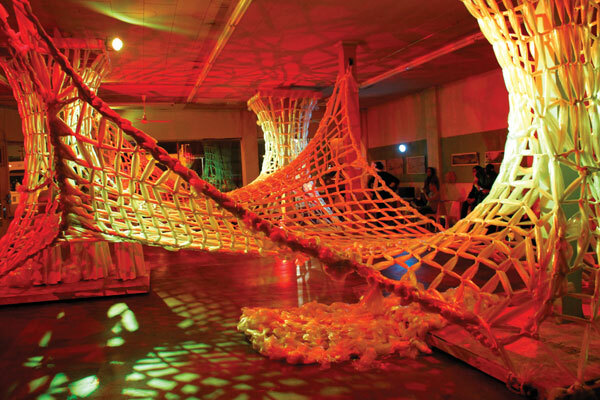 Instead, ideaXfactory is a place where artists can tap into new art forms and work together to create larger-than-life art installations. As one of the newest member to the Springfield art scene, this space tends to blur the lines between traditional visual art and modern day performance art. Launched in October 2012 after receiving a grant from ArtPlace America, the ideaXfactory set to work turning a vacant city building into a hotspot for contemporary art installations. When it comes to securing grants, Springfield is often overlooked for sexier cities like St. Louis or Kansas City. But not this time. This time, the creative masterminds behind the ideaXfactory put Springfield on the map. Out of the 70 cities that have received grants from ArtPlace America, Springfield is one of only two from Missouri. Now that deserves a round of applause. The idea behind the ideaXfactory is simple: It’s a place where artists can dive into types of art they otherwise might not have had the opportunity to experience. But more importantly, the new art center is all about turning up the volume on the local art scene. It wants to create a real buzz about art. 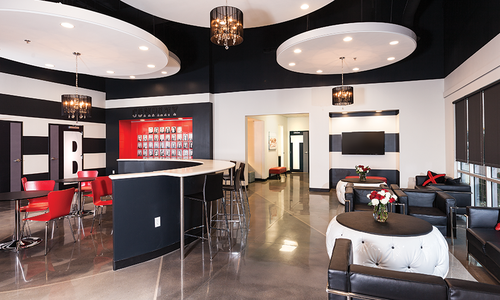 After working out of a one-room home, six local painters scored some extra legroom when they moved into the historic Gryphon building in downtown Joplin in 2010. Housed under a new roof, the artist collaborative has grown in size and now includes 15-plus artists of all sorts. From paintings, wood carvings, jewelry and pottery, there’s a little bit of everything tucked into this gallery. Even better, making a pit stop by Local Color often includes a behind-the-scenes view of art in the making, as the gallery doubles as a studio. 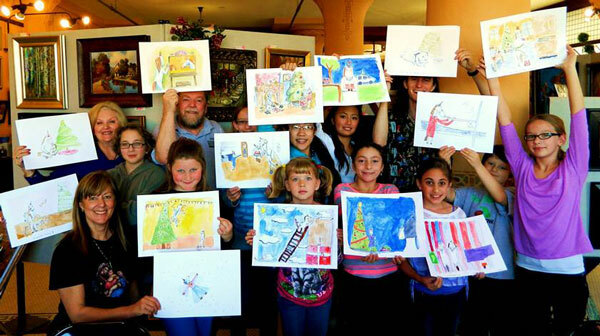 Local Color even has painting classes every Saturday afternoon for ages 8 and older. One of the gallery’s most popular classes is its once-a-month Vino and Van Gough class where wine and light hors d’oeuvres combine with a night of painting. Be sure to check localcolorartgalleryjoplin.com to find out about upcoming Vino and Van Gough nights and learn about workshops hosted by nationally known artists. About to enter its fifth year, LemonDrop has had quite the coming-of-age. Now a mixed-use space that blends a gallery, studio and music venue, LemonDrop actually started as a recording label before changing directions and starting the non-profit group it is today. For several years, the gallery hosted art reaching across all mediums before it found itself in need of a new building. So with its belongings boxed up, LemonDrop took a temporary hiatus until the opportunity arose this year to merge with SquidFoo Gallery on Boonville Avenue in Springfield. With extra space to fill and even more creative minds churning away under one roof, LemonDrop morphed into an all-out hub for the arts. It hosts out-of-the-box gallery exhibitions, provides studio space and serves as an all-ages music venue. Soon to come, the gallery will be adding art classes to its list of offerings. Of course, like everything else it does, these won’t be your traditional painting classes. LemonDrop is all about making art more accessible, which means you’ll find classes for things like needle felting here. And for those who just want to jive, LemonDrop and SquidFoo combine efforts to host Art Jam, an open studio session, Sundays from 4 to 6 p.m. There anyone is invited to bring their art of choice and set up shop at the gallery. As for art shows, the gallery débuts a new art lineup the first Friday of each month and welcomes four to five music performances a month. But art fanatics beware. These aren’t your traditional gallery receptions. LemonDrop tend to play off of the obscure. They have included a Star Wars tribute, a shout-out to Halloween creatures, an artistic take on the seven deadly sins and even one show that featured artwork done by tattoo artists. Just visit lemondrop.org for news on upcoming shows, and be sure to mark your calendar for the much-loved annual Post-it art show where artists create a piece of art using a minimum of 15 Post-it notes. 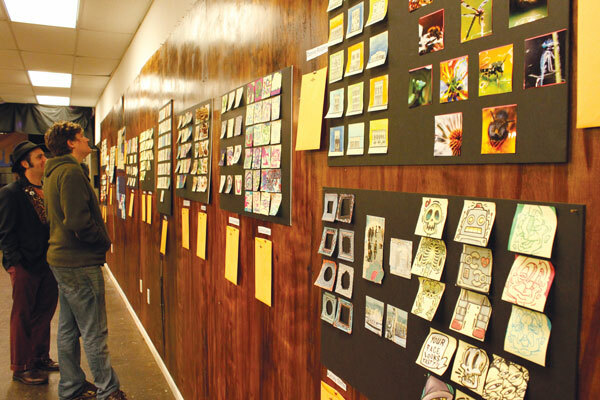 At the show, each piece of art is sold for $1 per Post-it. What a great way to start your personal art collection! The next Post-it show is December 6. Located just south of the historic square in Carthage, Koka Art Gallery is a melting pot for artists from all over the western corner of 417-land, including Joplin, Jasper, Neosho, Nevada and Carthage. At any given time, the small-town gallery displays pieces by a collection of more than 30 artists, and it has two to three shows on its calendar each year. Relatively new to the 417-land art scene, Koka opened up shop six years ago and moved into the old savings and loan building. Besides serving as a home for dozens of local artists, the gallery doubles as the studio for photographer Koral Martin, who specializes in floral and landscape photography. Over the years, word of mouth has kept this gallery fully packed to capacity. There’s always a waiting list of artists trying to get in the gallery. 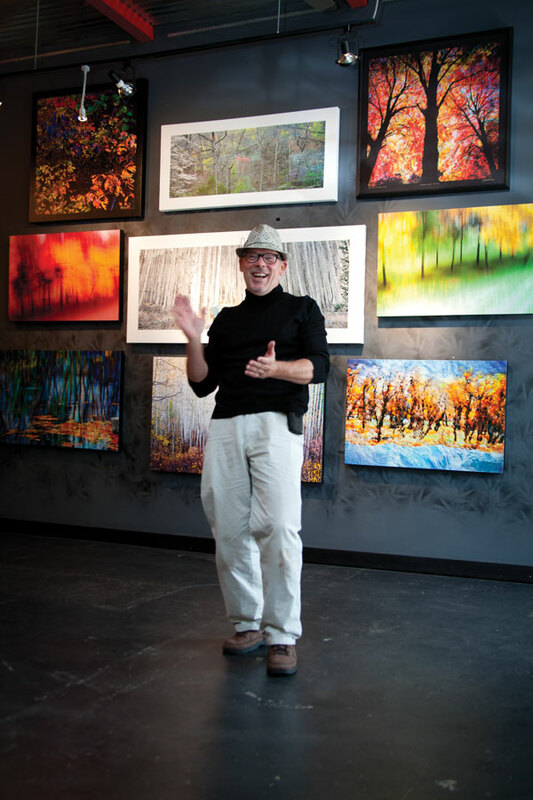 With buzzing art centers (including the ever-so-popular George A. Spiva Center for the Arts) just around the corner in Joplin, Koka has helped emerging artists establish footing by giving them some pretty valuable real estate on the gallery’s walls. From up-and-comers to well-established names, the mix of experience is a big part of what has made Koka a successful gallery. Also, the spot is a great place to spot the next big name in the 417-land art scene, especially during Carthage Art Walk, when artists hit the pavement and take part in the evening by mingling with the public. You won’t find a huge collection of modern art at the Ralph Foster Museum. Instead, it’s a step back in time as you take in a snapshot of what life in the Ozarks was like decades ago. Opened in the late 1920s, the museum started collecting anything and everything depicting life in the Ozarks. As a result, all three floors are packed with paintings, sculptures, wedding dresses, christening gowns, preserved china, kitchen trinkets and even a 9-foot polar bear. While most of the museum is dedicated to the past, there is also an art gallery that exhibits two to three shows each year. 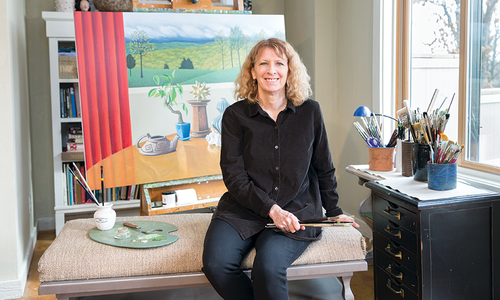 Spring welcomes the annual children’s art show, and in the fall, the White River Painting Show returns as a way to highlight works by local artists. New to the art scene in Carthage is Cherry’s Art Emporium On The Square. While the gallery itself might be new, owner Cherry Babcock has been in the business for several years. 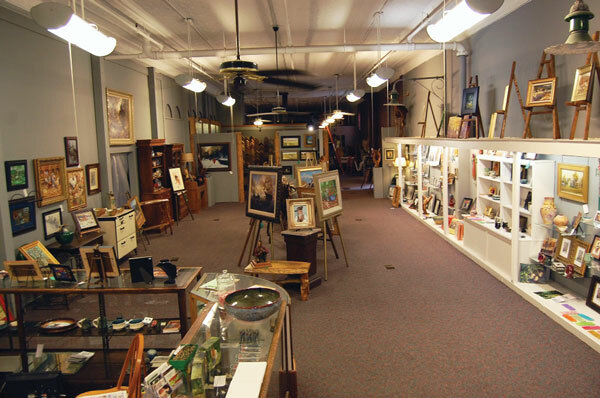 Before opening the emporium this August, Babcock ran a custom framing shop in Carthage that had a small art gallery crammed in as well. When the opportunity to open a full-blown art gallery presented itself, Babcock jumped at the chance and quickly relocated to the Carthage square. The new space is at least four times larger than her old shop, which gives Babcock plenty of room to display works by some 30 artists. There’s a little bit of everything here, including wooden sculptures, bronzes, oils and water colors and a variety of styles ranging from realism to impressionism. Babcock is even hosting a long list of art classes for both adults and children and is continuing her custom framing business. Also exciting, the emporium is attached to The Woodshed, a bluegrass music venue that plays shows on the first and third Friday of each month. Stay tuned for more updates from the Woodshed as it looks to expand its musical repertoire with folk and ragtag. How you know her: Starting out at Good Girl Art in Springfield, this 417-land photographer is now showing her work at galleries in New York, Switzerland and Los Angeles, to name a few. 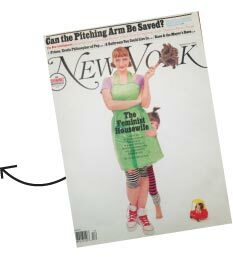 What she’s doing now: Blackmon shot the cover of New York Magazine’s March 25, 2013 issue and is displaying her work at a new gallery show at the Springfield Art Museum from now through January 19, 2014. How you know her: You probably know artist Susan Sommer-Luarca best for her life-like paintings of horses that have made her a big name at shows, including the Breeders’ Cup World Championships. Or maybe you saw the posters she created for the 2010 Winter Olympics. What she’s doing now: Sommer-Luarca’s love of horses landed her on stage with Sheryl Crow last April, as she painted live as part of a benefit concert. Also, she painted the cover of this issue! How you know him: You know him for his hypnotizing paintings with their fluid motion and bright colors. Quickly establishing his niche in the fine arts scene, Gavyn Sky is now partnering with fellow artists and local galleries to increase the accessibility of art. What he’s doing now: Most recently, Sky partnered with University Plaza Hotel to use the space as a venue for artists to show their work without the burden of hefty commission prices. How you know her: Crossing into a mix of media including oils, powders, pigments and different textures and materials, artist Jacqueline Warren divvies up her time between her California studio, her Florence, Italy studio and Drury University, where she serves as an associate professor in the art history department. What she’s doing now: This summer while working in Florence, she hosted a group of art collectors and was able to take her guests on a tour of European art. How you know him: With his paintings on permanent display at the Moscow Museum of Modern Art and in the personal collection of Tom Waits, Brad Noble is getting serious attention as an oil painter. What he’s doing now: Noble’s latest endeavor takes him far from the canvas as he ventures in television production with several shows in the works for the likes of AOL, General Mills and KOLR-TV. How you know him: If you’ve driven down National Avenue in Springfield, you’ve probably seen Russ RuBert’s work. 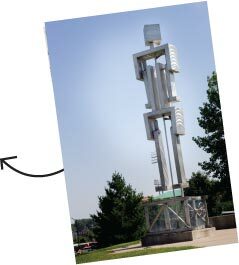 His metal sculpture titled “EchoSphere” sits outside Missouri State University and is just one of many larger-than-life creations. The “Kinetic Man” in Jordan Valley Park Field is another well-known piece. What he’s doing now: RuBert’s latest work, the “Harmonic Wall,” is on display at the ideaXfactory through early October. How you know her: You might know her best for her revealing fine art portraits or as the owner of Aerosha—a workout studio that blends physical, emotional and creative movements. What she’s doing now: Dunville’s latest venture is a continuation of her portrait work through Atrium Portraiture, where she’s cross-pollinating into wedding photography and family portraits. Just scroll through the credits of the latest video game offerings, and you’re likely to see Gary Bedell’s name. 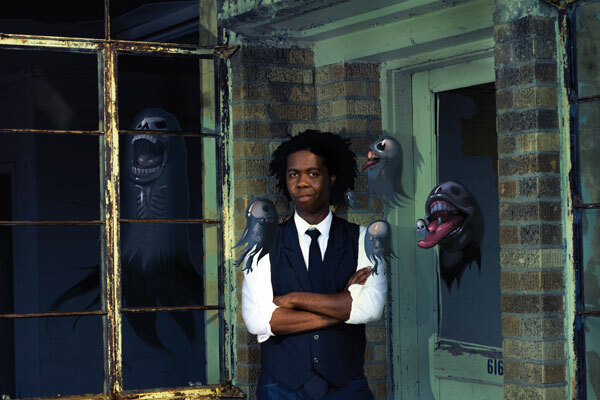 Having worked on games for Nintendo and XBOX360, Bedell has helped animate and illustrate a growing list of games, from Iron Chef America–Supreme Cuisine and John Deere: Harvest In the Heartland to several Dora the Explorer video games. Bedell has been drawing since he was 3, sketching out his favorite TV show ThunderCats. Comics were next as Bedell stocked up on his favorites. “I loved the art as much as the story,” he says. Every art book he could find, he took home. It’s unbelievable to learn that Bedell, now 31 years old with an impressive resumé of illustrations and animation work, is entirely self-taught. He started drawing professionally by designing concert posters. His first poster was for the heavy metal band Slipknot for a show they did in Springfield. 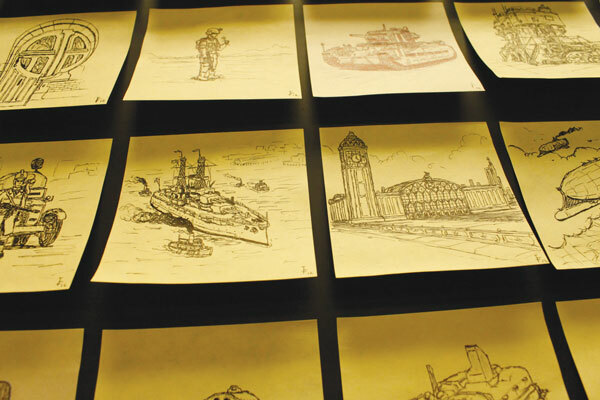 As his artistic skill developed, Bedell slid over into the animated world of video games. At 23, he worked on his first video game, Tabloid Tycoon. “I remember a lot of late nights,” he says, recalling the hellish schedule that had him chained to his desk for days. “Everyone wanted to kill each other with a trident.” Today Bedell has moved into business for himself and created Hot Dog Tree, an artistic collaboration pumping out illustrations, graphic design and animations. He still designs posters and album covers and has been featured in the UK-based art and pop culture publication Cereal Geek Magazine. On top of that, Bedell is knee-deep in a side project he can’t talk much about. Suffice it to say sometime soon you’ll see Bedell’s illustrations in the form of a graphic novel and a bizarro fiction combined. For this project, Bedell is working closely with writer Mark Berryhill. Oh, and one last thing—Bedell moonlights as a turntablist under the handle Agent Traxxident. It’s no surprise to learn that sleep isn’t high on Bedell’s to-do list. 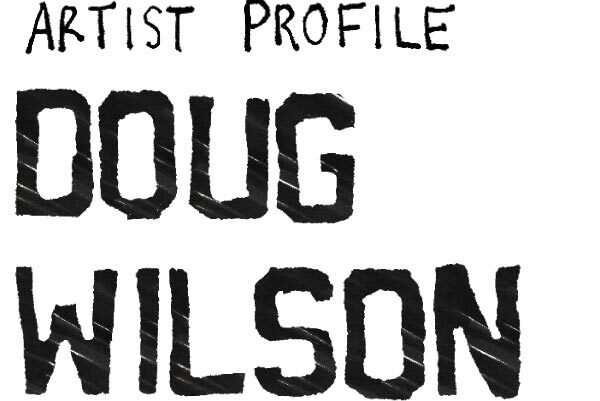 After two years of working on his first film, Linotype: The Film, Doug Wilson is finally comfortable calling himself a filmmaker. On top of that, he’s a graphic designer. Making the move from computer geek to graphic designer to filmmaker might seem like an odd move, but listening to Wilson outline his serendipitous journey, it doesn’t seem that weird. Stepping foot into his freshman year at Missouri State University, Wilson had no idea what graphic design was. He liked computers and art, and that was it. 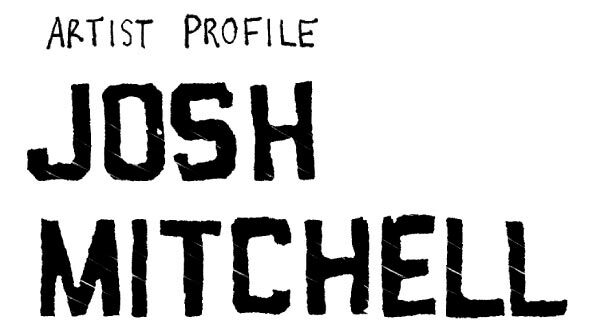 “It just so happened that I loved graphic design,” he says. “I see it as a great mix of aesthetics and purpose. 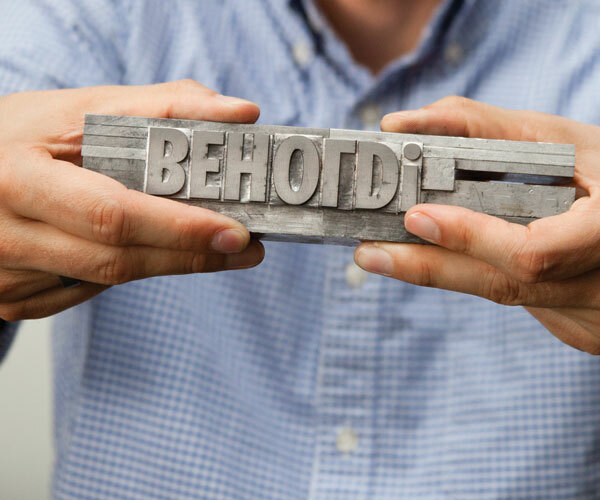 It’s all about taking graphics and images and packaging those in an easier way for people to consume.” While plugging away at Missouri State University, Wilson stumbled upon a hoard of long-forgotten printing equipment stored in one of the school’s basements. Those rusted-out machines became Wilson’s senior thesis, which led him to discover the linotype machine, which then became the inspiration for Linotype: The Film—a historical overview of the linotype’s crucial role in the history of moveable type and graphic design in the 21st century. 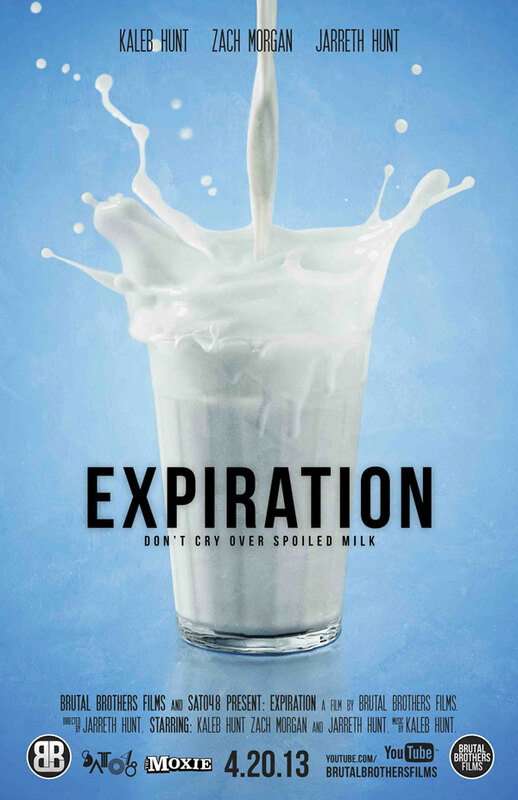 At the time, Wilson had zero experience making a movie, let alone a full-length documentary. “I went naively into film and was too far in to the filmmaking process to quit,” he says. 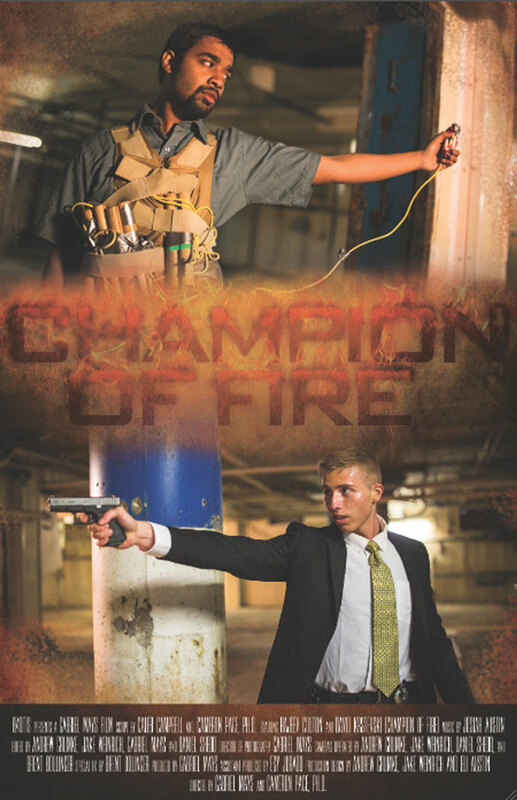 Luckily for Wilson, Brandon Goodwin jumped in as director of photography, and Jess Heugel took over audio and sound design. 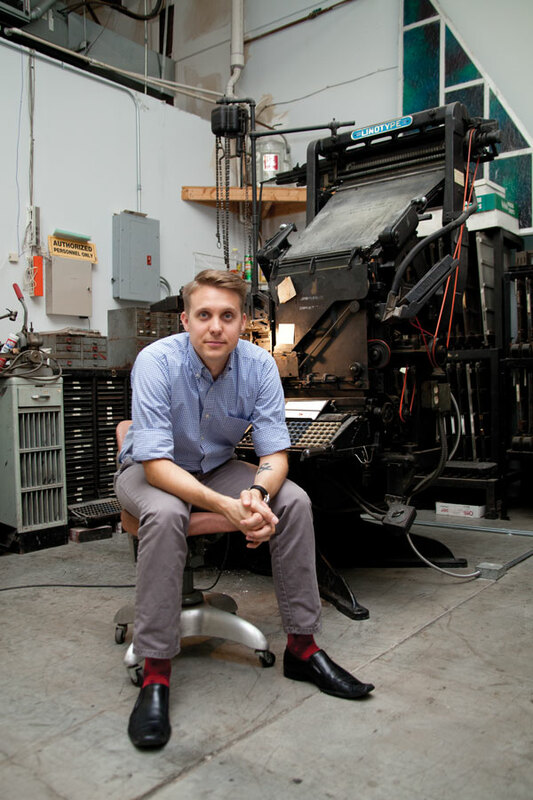 “I have no idea how, but thankfully, I convinced them to join me on Linotype,” Wilson says. Learn printmaking techniques with the Printmaking Group at The Creamery Arts Center, hosted by Roxie Castro (right). Save your seat by calling 417-862-2787. 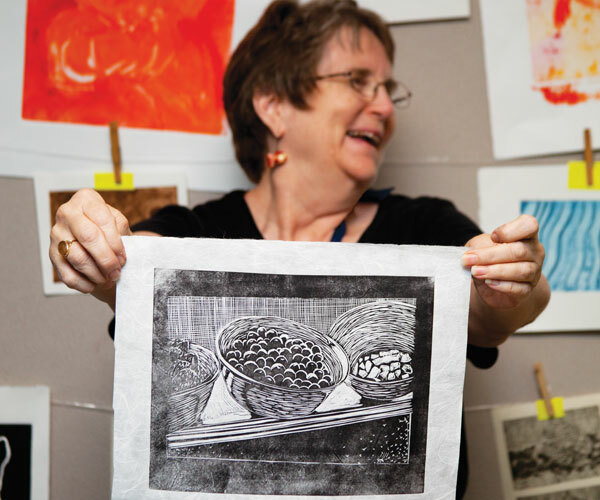 For more classes offered by The Springfield Regional Arts Council, visit springfieldarts.org. Paint your own pottery at Firehouse Pottery in Springfield. For all the ladies out there, Firehouse Pottery hosts a girls’ night out each month for adults 18 and older. Bring food and drink. Call 417-881-8381 or visit firehousepottery.com for more info. • Take a painting class at Local Color Art Gallery in Joplin. Visit localcolorartgalleryjoplin.com for a full class listing. • Bring a bottle of wine, and invite your friends for a night of painting at RSVPaint in Springfield. Visit rsvpaint.com for an updated class listing, or call 417-413-4331. • Attend Corks2Canvas in Branson, which provides all the materials you need—you just bring wine and a few painting pals. Visit corks2canvas.com or call 417-337-2905 for more info. • The Springfield Art Museum offers classes for painting, pottery and drawing. Visit springfieldmo.gov/art for more info. • Take art classes at George A. Spiva Center for the Arts in Joplin. From pottery to jewelry-making, Spiva offers classes in almost any medium. The schedule changes often, so visit spivaarts.org for a list of classes. Test your metal at filmmaking with SATO48. Filmmakers have 48 hours to create five-minute short films. The 2014 SATO48 challenge kick-off has not been finalized but traditionally takes place the third weekend of April. Call 917-648-5677 or visit sato48.com for more info. 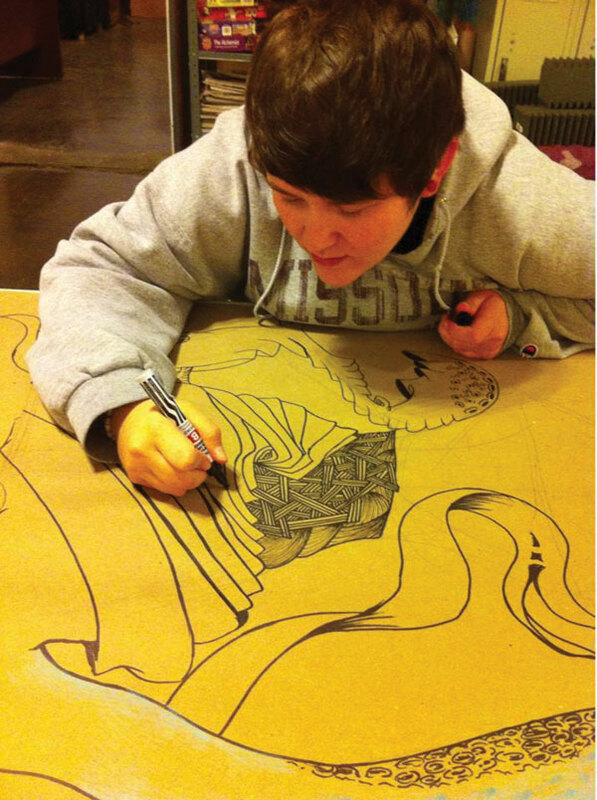 Get your art on at the weekly Art Jam hosted by LemonDrop and SquidFoo in Springfield. Each Sunday from 4–6 p.m., the gallery is open to artists of all skill levels and mediums to socialize and create. Bring your own art supplies. Get outside, and paint with Springfield Plein Air. This group is free and open to all with meetings every Thursday, April through October. Call 417-830-9044 for more info, or check them out on Facebook. • Photographers of all skill levels are invited to monthly meetings of the Four States Photography Enthusiasts. This informal club meets the first Tuesday each month in Webb City. Call Danny Wilson at 417-529-4864 for more info. • Freedom Photography offers classes with walking tours, wine and photo editing tips. Visit freedom-photography.com for more info. • Lawrence Photo and Video in Springfield has classes for DSLR cameras, exposure, composition, lighting, studio lighting and even Photoshop. Call 417-883-8300 for more info. • Become a pottery master at Phoenix Fired Art in Joplin, where you can learn the art of throwing and firing ceramics. Call 417-437-9281 for more info or find them on Facebook. • Take a pottery class at Springfield Pottery. Visit springfieldpottery.com to learn about upcoming classes. Take a class at Springfield Hot Glass Studio. Classes range from glass bead making to glass blowing. For more info visit springfieldhotglassstudio.com. 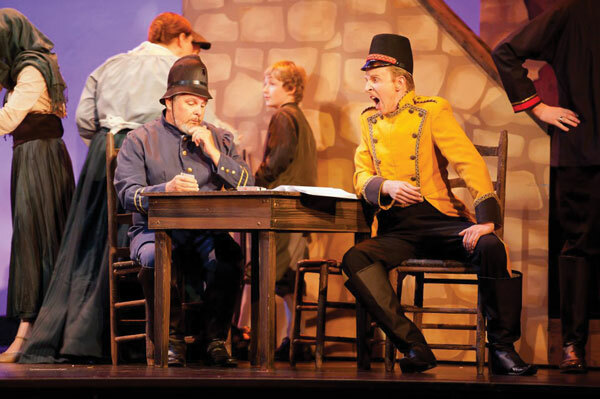 True to its name, the theatre group performs traditional operas but enjoys flirting with the edges of musical theatre. No matter the show, the Springfield Regional Opera: Lyric Theatre knows how to put on a good performance, which is no shocker since the group started from the Springfield Little Theatre more than 33 years ago. When the group decided it was time to branch out and delve more into operas, it took a note from SLT and made entertaining its primary business. Always offering a promising season, the group performs at the Gillioz Theatre, the Springfield Art Museum and First Baptist Church. It’s a dance that has served the Lyric Theatre well, as each venue offers a chance to reach a different audience and stage a variety of shows. The theatre also takes any chance it can to entertain off the stage, especially at local special events. Operazzi Night—a classical jazz and music theatre cabaret open-mic night packed with live piano, beverages, snacks and boundless entertainment—has become an SRO seasonal staple. It’s a chance to share Springfield’s musical talent (of Springfield Little Theatre and performers from the surrounding colleges) with the public. Singers and songwriters come in and put on such great performances that castings have even resulted. No matter the venue or the production, SRO is always looking for ways to expand its musical talents. Be sure to indulge in the 2013–2014 season, which features four mainstage performances, including Mozart’s Italian opera Cosi Fan Tutte October 24 through October 27 and The Barber of Seville next February. The lengthy history of the Springfield Symphony Orchestra begins back in 1934 with the formation of the Springfield Symphony Society and its 40-member orchestra. Since that time, the orchestra has held monthly performances each year and calls the stage at Juanita K. Hammons Hall home. New this year, Kyle Pickett starts his first season as the newly appointed music director of the symphony and leads the orchestra as it taps into two musical veins: classical and pop. Each season, the orchestra performs six classical concerts and three pops concerts, offering audiences the best of both worlds. After all, who said orchestras had to stick to the likes of Mozart? While classical remains at the core of the symphony’s musical repertoire, the 63-member orchestra throws in plenty of sing-along numbers from popular Broadway musicals and movie soundtracks at its pop concerts. It’s a lineup that appeals to ages across the spectrum, which seems appropriate since the musicians themselves range from 25 to 80 years old and include community members, music teachers, university faculty and students. There’s exciting news for classical music enthusiasts in the Branson area. A new non-profit organization debuted in 2012 with a mission to bust the myth that classical music is stiff and elitist. The new group, dubbed the Taneycomo Festival Orchestra (TFO), gives a two-week free concert series each year that takes classical music far from the traditional stage, performing at shops, schools and hotels. The aim is to provide a casual and accessible concert series. TFO invites talented musicians from all over the world to spend a few weeks in the Ozarks performing alongside students and local professionals. Stay tuned for upcoming TFO shows. The next show is November 4 at Vintage Paris Coffee Shop in Hollister. Rooted in Joplin, this theater troupe performs two productions each year with one opera and one musical theatre or operetta show. To start the 2013–2014 season, Heartland Opera Theatre joins forces with Missouri Southern State University (MSSU) Theatre Department and the MSSU Institute of International Studies to bring to the stage Pagliacci, Ruggiero Leoncavallo’s opera of jealousy, revenge and tragedy. The opera is performed in Italian with subtitles displayed along the side of the stage and is free to the public October 11 and October 13. Made up of professional musicians, students and music enthusiasts alike, the Springfield-Drury Civic Orchestra was founded in 2005. This largely volunteer orchestra is propelled forward by a passion for music and performs four concerts each year, including a Halloween Pop concert on October 30. All shows are free and open to the public. 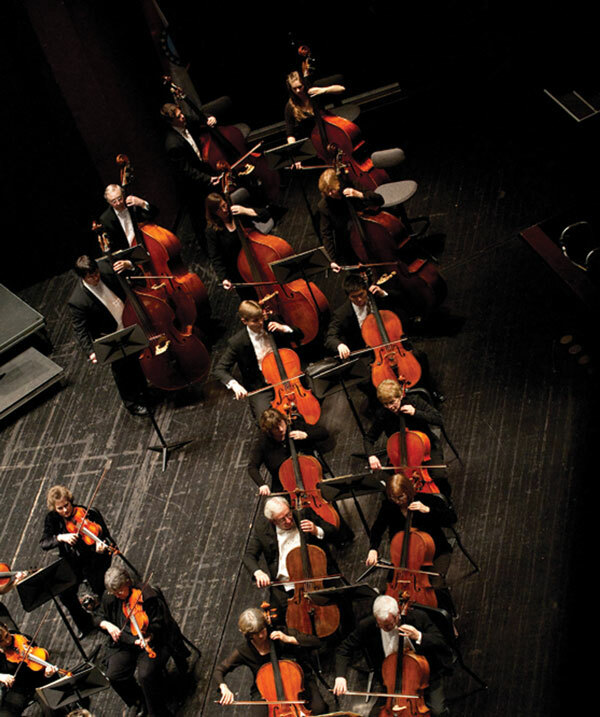 Of course the civic orchestra is just one of many musical groups housed on the Drury campus. There’s also the Drury wind symphony, chamber orchestra, a jazz ensemble and choirs. This new community orchestra in Joplin puts together one concert each summer. The group was started by teacher/musician John Atteberry and is co-directed by Terry Dolanc, longtime retired orchestra director at Joplin High School, as a way to unite seasoned performers with students. The group performs at the Thomas Jefferson Independent Day School and plans the 2014 show to fall around the Fourth of July. Visit tjeffschool.org/concerts to learn about upcoming performances. Open-mic night at Springfield Regional Opera: A Lyric Theatre’s Operazzi is a great time to sing your favorite songs or watch the professionals who are performing. Operazzi takes place once a month. 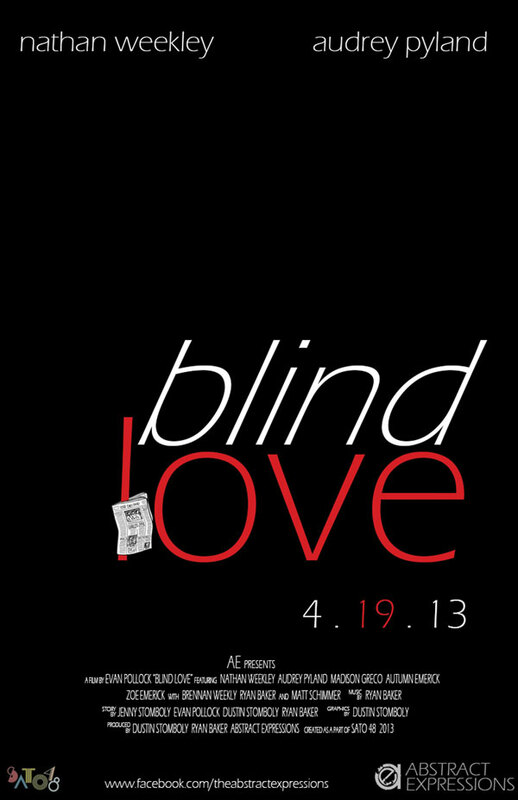 Visit srolyrictheatre.org for more info. Take voice lessons at Starfall Studio (Branson, 417-593-1400), or sign up for piano, guitar and even stage coaching lessons. • Learn to play violin, flute, saxophone, guitar, drums, piano and much more, at Pellegrino’s School of Music and Art (1269 E. Republic Rd., Springfield, 417-887-2800, schoolofmusicandart.com). • Springfield Music (3100 S. Fremont Ave., Springfield, 417-881-1373) and Ernie Williamson Music (925 S. Rangeline Ave., Joplin, 417-624-3157, springfield-music.com) offer private music lessons for guitar, violin and more. • Become a rock star at any age at School of Rock Springfield (1658 E. Sunshine Rd., Springfield, 417-837-7625, springfield.schoolofrock.com). Enjoying art in a gallery or museum is a risk-free way to see what’s new on the local art scene and scout up-and-coming artists. But how do you make that move from casual window shopper to full-blown art collector? We talk with two art pros, Director of the Springfield Art Museum Nick Nelson and Executive Director of the George A. Spiva Center for the Arts Jo Mueller, to get their expert advice on how to start your own art collection. 3. Ask for Advice “Get to know other collectors. Most have a passion for art and will be happy to talk about it. If you are serious about art as an investment, try to find a reputable art consultant.”—N. N.
4. Check Out Art Shows “Acquiring original art is a process. Some collectors get that first piece from an art walk or from group exhibitions where much of the work is for sale. University art sales and senior shows are good places to discover affordable new work. Depending on your tastes, you might even find pieces you’re crazy about at estate sales and second-hand stores.”—J.M. 5. Look for Added Value “Look for provenance or a chain of ownership. Does the person selling the work know where it came from? Has it ever been exhibited? These details might enhance the value and importance of the work.”—N. N.
6. Learn All You Can “Take an art history class and read all you can. You can even take a studio art class to become familiar with media and techniques.”—N. N.
7. Look for Quality and Condition “Not all works by aN artist are created equal. Artists sometimes have their off days, and even the best artworks can be mishandled and mistreated. 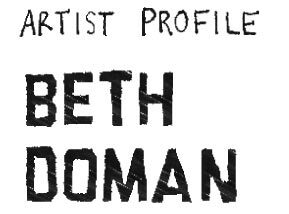 By learning as much as you can about the artists you like, you will be able to tell if the art is not of the best quality and condition.”—N. N.
8. Work With Your Budget “If funds are tight, get postcards and posters of work that appeal to you. Pin them up, and live with them. The goal is to surround yourself with pieces that make you happy and to recognize if and when your tastes change.”—J. M.
9. Don’t Cheap Out “Avoid the temptation of trying to find the proverbial ‘thrift-store da Vinci.’ You will only end up with a lot of worthless art you don’t even like.” —N. N.
With a bachelor of fine arts in theater performance from Auburn University safely in his back pocket, performer, director and teacher Bucky Heard got his first series of gigs performing shows on cruise ships. While on board, he ran into established performers including Roy Clark (the host of the country variety show Hee Haw), Jim Stafford and Yakov Smirnoff, who kept talking about a showbiz Mecca called Branson. Finally in 1994, Heard and his then girlfriend A.J., who is now his wife, transplanted to Branson. “I thought it would be a short stay,” Heard says. “Now it’s been 18 years, and I’ve been able to do what I love.” Listed on Heard’s lengthy resume of musical ensembles are the well-known nine-piece horn band The Horn Dawgs and Retro, an ’80s cover band. His love of performing led Heard and his wife—a dancer and choreographer—to the Dance Branson School of Arts, where they work with the school’s owner Tonya Coker Rantz to teach everything from tap and jazz to musical theatre to dozens of students of all skill levels. In fact, the Dance Team Production number just won the national title from StageOne National dance competition. Another project close to Heard’s heart is Rock U Mentally, a kids’ musical production that took Heard from performer to director. “When my little girl was born, I was exposed to hours of kids’ programming,” Heard says. “I’m a horn section guy, and everything my daughter was listening to and watching was synthesized. I decided to make a CD (titled Who You Are is Where It’s At) with songs that would make a difference. None of that Barney stuff and ‘I love you, you love me.’” With a repertoire of songs dedicated to kid-friendly material and stocked with a horn section to boot, Heard next wrote a script and transformed the CD into a musical. Rock U Mentally is now being pitched to the masterminds of kids’ programming at Disney and Nickelodeon in hopes of taking the show from the stage to the TV. Whether your little ones dream of painting like Picasso or shining on stage, there’s a class or camp that can help them. Explore what’s offered for kids in the 417-land arts’ scene, and help your child find his or her artistic passion. Springfield-Greene County Library has a variety of classes each month, including knitting, weaving, jewelry making, painting and even origami. Visit thelibrary.org/teens for a complete listing and to find a library near you. 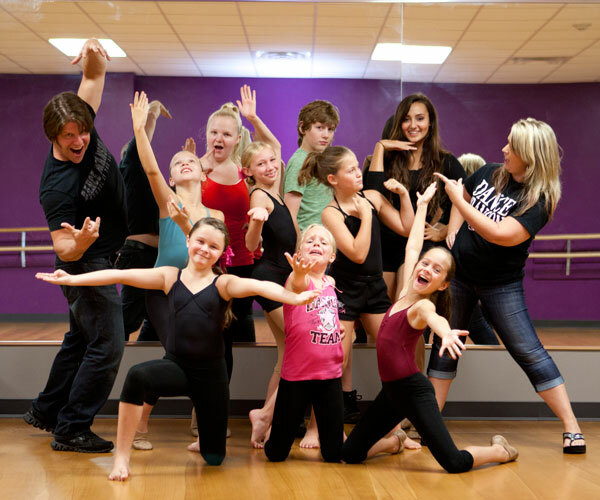 Kidos can take ballet lessons at Credo Dance Academy. 931 S. Kickapoo Ave., Springfield, 417-496-9527, credodance.com. The Conservatory of the Ozarks in Springfield teaches private music and art lessons. Call 417-592-1756 for more info. New this year, Springfield School of Rock offers lessons in guitar, piano, drums, vocal and more. For more info visit springfield.schoolofrock.com. Children’s Music Academy offers music lessons for piano, singing, guitar and more. Call 417-425-4618 for a complete listing. 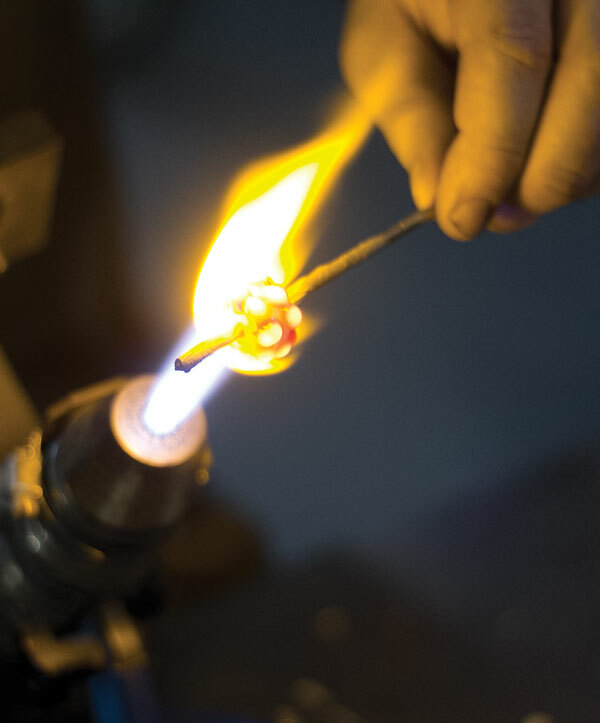 To dig deeper into the 417-land arts scene, Assistant Editor Ettie Berneking tries a glass bead making class at Springfield Hot Glass. I’ve never been the most artistic person, but that doesn’t mean I haven’t tried. I successfully made a clay turtle back in middle school that can still be found in my mom’s office, and in junior high, I decided I was destined to be a painter, so I set to work painting clouds on my bedroom ceiling. Fast forward 10 years, and now, after numerous failed attempts at creativity, I’ve slowly settled into the realization that I’m not artsy. That’s why when I was told I would be trying my hand at glass bead making at Springfield Hot Glass, I was skeptical. Turns out, the class was a total blast. For two hours, I sat in front of a large propane flame and melted rods of colored glass into marble-like beads. Instructor and co-owner of the studio, Gabe Bloodworth, was there helping me along the way, but for the most part it was just me, my safety goggles and 2,000°F molten glass. I loved every minute of those two hours. Bloodworth opened Springfield Hot Glass with his dad, Terry, in 2003 and is a glass blower by trade. The studio is located in downtown Springfield with large cooling chambers and kilns stored in the back, leaving the front open as a gallery for finished pieces. It offers three classes: furnace glass blowing, glass fusing and glass bead making. Bloodworth instructs most classes, and the one-on-one approach allows him to really work with students and help them hone the skills needed. Watching him expertly melt and shape each bead made the whole process look easy, but he’s a pro. We started each bead with a solid rod of colored glass. Once the flame was properly set and my safety goggles were on, I carefully waved the rod in and out of the flame to gradually heat the glass. Once the rod was hot enough, I held one end securely in the flame, all the while rotating the rod. Eventually, the end of the glass rod became a molten-hot ball of glass. This is where I was especially glad to have Bloodworth at my side. If I stopped rotating the rod, the glass ball would lose its shape. If I forgot to tilt the opposite end of the rod down, the glass ball wouldn’t form properly. Once I had gathered enough melted glass, I carefully dripped the glass over an iron rod to form the bead. With him manipulating the flame and instructing me to tilt this and twist that, I successfully made four beads. I might not be anywhere as good as the professionals, but I can confidently say these beads look way better than those watercolor clouds on my ceiling. 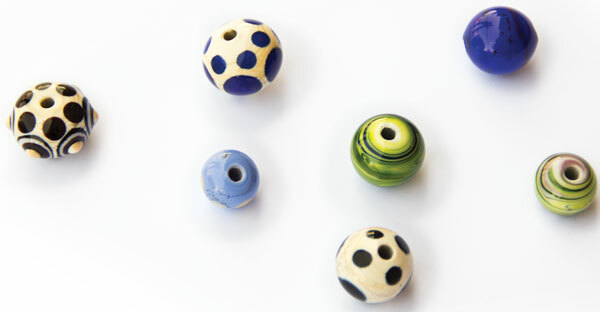 What: Glass bead making, glass fusing or furnace glass blowing classes. Prices range from $50 to $300. Where: Springfield Hot Glass, 314 S. Campbell Ave., Springfield, 417-868-8181, springfieldhotglass.com. Since its start in 1976, Springfield Ballet has offered dance training to adults and children and a lineup of beautifully choreographed performances. Each season, the ballet puts on two shows: The Nutcracker in December and a full-length story ballet in the spring. The ballet has been bringing to life the beloved story of The Nutcracker each year since 1985. As a school of dance, the ballet works with some 160 students each semester and brings in professional dancers to play principal roles, but a majority of the dancers on stage are young students. When it comes to community theater, the thespians at Joplin Little Theatre are no novices. The group formed back in the 1930s after a dedicated troupe toured town performing at Joplin High School, the Paramount Theatre and anywhere they could find a stage. Today, with a stage all their own, the theatre puts on a variety of shows from cult classics including The Rocky Horror Show and Gypsy to family-friendly shows such as Miracle on 34th Street. But overall the theatre sticks to family-friendly shows and musicals. The 2013–2014 season has a five-show lineup with performances in September, December, January, February, March and May. Located on the campus of Missouri State University, the theatre seats more than 2,000 with multi-level boxes and an orchestra pit. Performances range from national touring Broadway shows to stars, including Jerry Seinfeld, Ray Charles, Garrison Keillor and many more. Since the hall opened in 1992, its stage has welcomed a mix of performances. This season promises plenty of variety including violinist Paul Huang, October 1, and a production of Irving Berlin’s White Christmas November 1 and 2. Operating thanks to a tireless cast of volunteers, Springfield Little Theatre has been a staple of downtown Springfield for several decades. Housed in the historic Landers Theatre, this dedicated troupe of thespians hosts a variety of shows each season. With six main-stage shows, three family series, two to three institute shows and a few shows that jump around town, there’s something here for everyone. This year’s lineup is sure to be a blast, as the cast tackles the likes of Monty Python’s Spamalot, Shrek the Musical, The Music Man, Jr., and much more. With a few exceptions, the entire cast is volunteers, and the ages of those on stage range from as young as 4 to 80 and older. If you’re looking for a night of side-splitting laughs, here’s the skinny: You should head to The Skinny Improv. With live improv shows every Friday and Saturday starting at 8 and 10 p.m., this local comedy hotspot has grown a serious following of devoted fans. After starting in 2002, the improv group has developed 10 shows that perform throughout the month, including competitive improv that takes the stage the last weekend of each month. Two teams compete against each other with the audience voting for their favorite jokesters. Besides performing 400 to 500 shows each year in Springfield, The Skinny Improv hits the road, taking their laughs on tour all over the country. This is not your average ballet. Yes, you’ll still find a sea of tulle and dancers with thighs of steel, but Director Kaye Lewis adds a weighty punch of modern flair to each performance. Take for instance its last show in September, Alice in Steampunk Wonderland. The whole performance was set to music of Queen. Lewis and her company of dancers have also done a rendition of Dracula, and a hip hop remake of Tim Burton’s Nightmare Before Christmas. Oh, and did we mention the aerial ballet incorporated into several of the company’s dances? Like we said, this isn’t your normal ballet. Of course Lewis makes sure to perform The Nutcracker every two years and has done other classic shows including Cinderella. But adding a modern twist to ballet has served the company well as it has developed a reputation for putting on awe-inspiring shows. While the ballet is based in Joplin, it often has to travel to neighboring Pittsburg, Kansas to take to the stage. 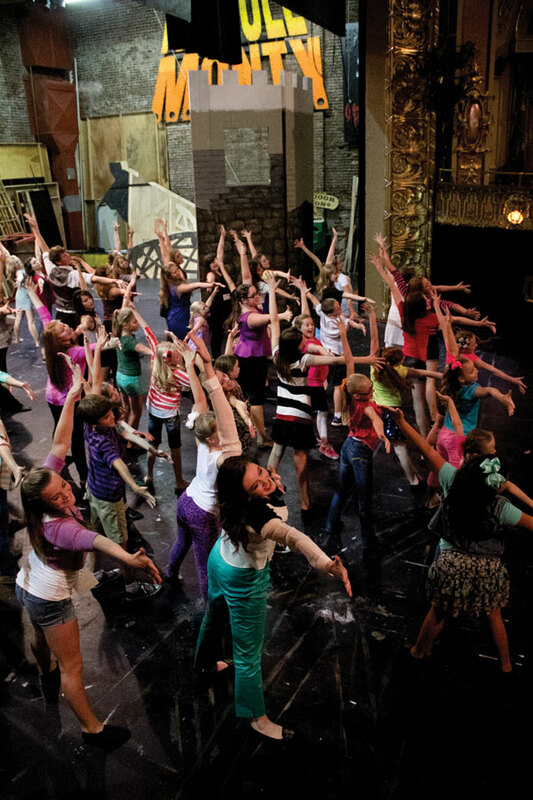 From musical productions to dramatic theatre performances, the students behind the scenes at Missouri State Theatre and Dance put on a whirlwind of shows. Each season, six to eight shows fill the calendar and cover a wide range of genres from Shakespeare to musicals. Also, part of Missouri State Theatre and Dance, Tent Theatre is a professional theatre that brings in a higher caliber of talent hosting open auditions along with flying in performers from across the country. To kick off its 2013–2014 season, Missouri State Theatre and Dance performs Children’s Hour, an adult-appropriate play October 17–20. Students who take the stage catapult the audience into the always-entertaining world of theater. With a different roundup of shows each season, the theatre department delves into a mix of genres from contemporary musicals to Shakespeare and American realism. The 2013–2014 season features four productions including Five Women Wearing the Same Dress, The Full Monty, Endgame and Measure for Measure. The theatre’s director Robert Westenberg had his own career on and off Broadway and network TV. While we love a performance of The Rocky Horror Show as much as the next musical fanatic, we love it even more when the cast adds in its tricks. And that’s exactly what Springfield Contemporary Theatre does best. As the name suggests, this is one theater group that relishes the chance to perform not-so-ordinary shows and scouting material that hasn’t already been produced in the area. Some of those plays are a little more controversial in their material or language, so this might not be the best place to take the kids for a night of theater. The contemporary theater was actually the first in the area to produce Hair 10 or so years ago. The show did so well that they had to turn people away. Originally, the group performed out of the Vandivort Center Theatre but had to vacate the stage last January. Its upcoming musical revue Sing for Your Supper, running September 27–29 and October 4–6, is held at Nonna’s Italian Café’s south location. 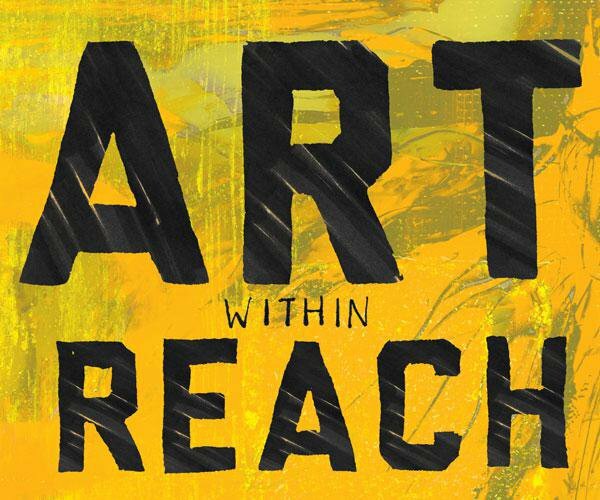 Standing out from its fellow theatres, Stained Glass Theatre produces strictly faith-based material and assembles a series of family-friendly shows all packed with a spiritual message. The theater started in 1983 thanks to founder Ron Boutwell, a professor in the theatre department at Southwest Baptist University. The theatre started in the basement of Springfield Family Restaurant on Sunshine Avenue in Springfield and hopped around to different stages before eventually putting down roots in Ozark. 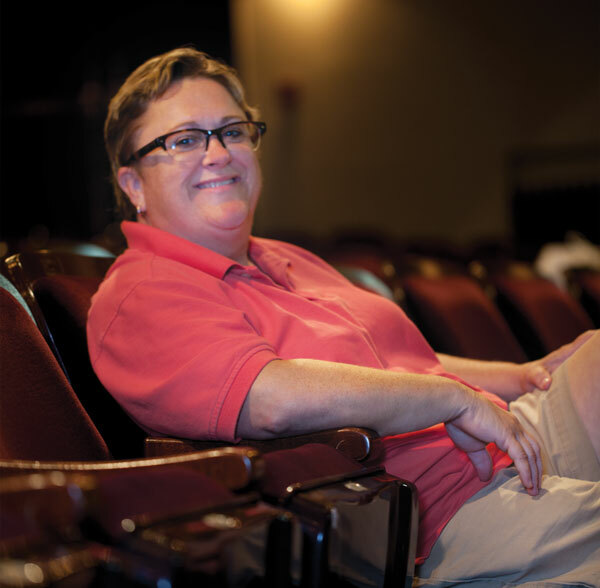 Today, the theatre performs seven productions each season, and Boutwell is still busy writing some of the theatre’s plays. Each season, the students in Southern Theatre take to the stage to perform a six-show lineup. The season delves into a mix of genres, styles and periods from classical and contemporary to kids’ productions. 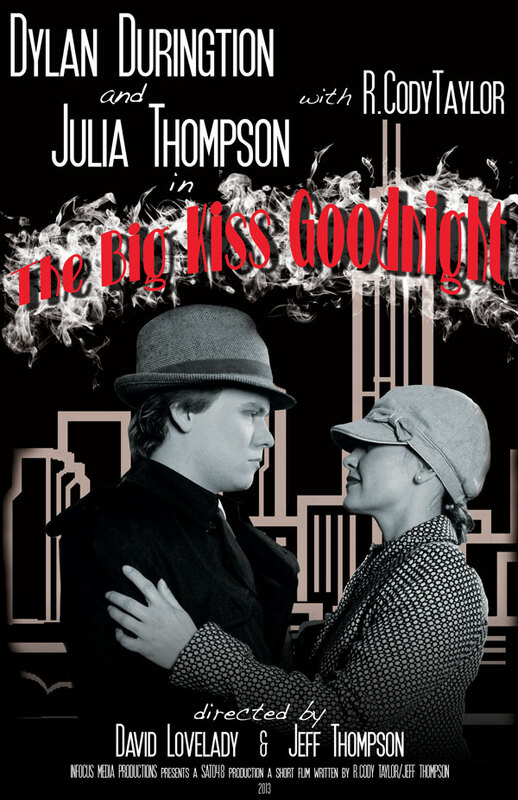 Every year the theatre alternates between a musical and the Festival of New Drama that features material 100 percent written and directed by students. Be sure to catch Pagliacci October 11 and 13. At Take The Lead (1740 S. Glenstone Ave., Springfield, 417-234-7511) you can take classes in ballroom, Latin, swing and country dance. Visit ttldancespringfieldmo.com to see the class schedule. Ballroom dance at Judy’s Ballroom Dance (MSSU Health Sciences Building Rm. 151, 3950 Newman Rd., Joplin, 417-392-0215, judysballroomdancelessons.com). Bust a move at MidWest Dance Revolution (145 Warehouse Dr. Ste. 6, Branson, 417-348-0991, midwestdancerevolution.com) where you can take dance lessons from jazz to ballet and hip hop. Take the stage at The Skinny Improv, where you can learn the art of improvisational comedy. Learn more at theskinnyimprov.com. Springfield Little Theatre offers a variety of auditions throughout the year. (A childrens’ audition for Little Mermaid Jr. is pictured above.) The theatre hosts audition workshops to hone your stage presence, and the next one is October 7 and 8. Visit springfieldlittletheatre.org to learn more. Join the C-Street Zombie Corps, led by the dance pros at Dance With Me, and perform Michael Jackson’s “Thriller” the Saturday before Halloween. Visit dancewithme.us to learn more. Plan on registering well in advance of the October 26 event. Drury University hosts a one-act playwriting competition every other year that is open to all writers. Let your creative juices flow, as the call for entries begins May 1, 2014. Contact Dr. Mick Sokol at 417-873-6821 or msokol@drury.edu for more info. Shake and shimmy at the Malaika Dancers Studio (1907A S. Glenstone Ave., Springfield, 417-619-0700, malaikadancers.com). Classes range from an intro to choreography to traditional belly dancing. With a comfy corner office tucked away on the second floor of Landers Theatre, Executive Director Beth Domann feels right at home. And she should. Besides the army of photographs depicting Domann’s role in the theatre’s lengthy history and the binders packed with scripts, this theatre truly has been a home for Domann. She even lived there for a while back when the second story of Landers Theatre housed apartments instead of offices. Domann has always been a theater kid. She first joined the ranks of Springfield Little Theatre in 1977 when she was 13 years old. She was card No. 5 in a production of Alice in Wonderland, and from that point on, she was hooked. Over the years, Domann has played almost every role at the theater. She has acted and taught, and now she’s the executive director—a role she has played for eight years. As her role at the theatre has changed, so has the theatre itself. Back when Domann took the stage, it was known as the Youth Players—the precursor to the Yes Troupe—and a ragtag bunch of kids were the theatre’s “orphans” who basically lived on the stage. Over the years, Domann has seen the evolution of downtown Springfield. She has seen the theatre grow and prosper. She has worked with kids bound for glory, including Lucas Grabeel who played Ryan Evans in High School Musical. She was even cast as the not-so-friendly Alice in Winter’s Bone, which was her first big-screen acting role. Unlike so many Broadway hopefuls, New York was never a goal for Domann. “People are too tall in New York,” she says, laughing. “And I’m short. I didn’t like the idea of having to stare at people’s butts and armpits all day.” Instead of moving to the Big Apple, Domann stayed in Springfield, which she happily calls home.